The Czech Ministry of Education, Youth and Sport offers five scholarships for developing countries. Applications for these scholarships are open to all students from developing countries and/or countries going through a process of political and economic transition. Eligible Fields: Economics, Agriculture, Informatics, Environment and Energetics at public universities in the Czech Republic. These Government Scholarships are designed to cover the standard length of study plus one-year preparatory course of the Czech language(which is combined with other field-specific training). 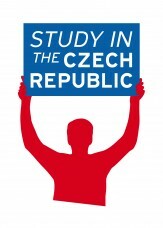 The scholarship covers the necessary costs related to staying and studying in the Czech Republic. The scholarship amount is regularly amended. Whereas the amount paid to students of a Doctoral study programme stands at CZK 15,000 per month. The above scholarship amounts include an amount designated for the payment of accommodation costs. Costs of accommodation, food and public transport are covered by scholarship holders from the scholarship under the same conditions that apply to students who are citizens of the Czech Republic. Should health services exceeding standard care be required by the student, s/he shall cover them at his/her own cost.